Like protein and carbohydrate, fat is a nutrient that provides the body with energy. Here's everything you need to know about getting enough of the right fat. - saturated fatty acids, which don't break down easily on contact with light and air. They're usually solid at room temperature. - unsaturated fatty acids, of which there are two types: monounsaturated and polyunsaturated. Polyunsaturated fatty acids are essential fatty acids. They include Omega 3 and 6, which are vital because our bodies cannot produce them, though we need them to function. - Some polyunsaturated fatty acids are turned into trans fatty acids by food manufacturers. 1 gram of any type of fat contains 9 calories. -it builds tissue, especially brain tissue. -it produces hormones and other chemicals in the body. -it is used to make bile salts which we need for digestion. -it transports Vitamins A, D, E and K throughout the body. However, certain types of fat are harmful to health (as well as beneficial). Saturated fatty acids are dubbed bad fats because they increase cholesterol and contribute to heart disease (especially in people who are genetically predisposed to heart problems, smokers, diabetics and people who suffer from stress). Monounsaturated fatty acids have the opposite effect: they protect our arteries by reducing bad cholesterol. Polyunsaturated fatty acids are also good for the heart, particularly Omega 3, which aids blood thinning and circulation, is a mood-lifter and helps with the upkeep of skin tissue; and Omega 6, which reduces bad cholesterol and aids cell construction. However, trans fatty acids are believed to increase bad cholesterol and encourage the development of some types of cancer. 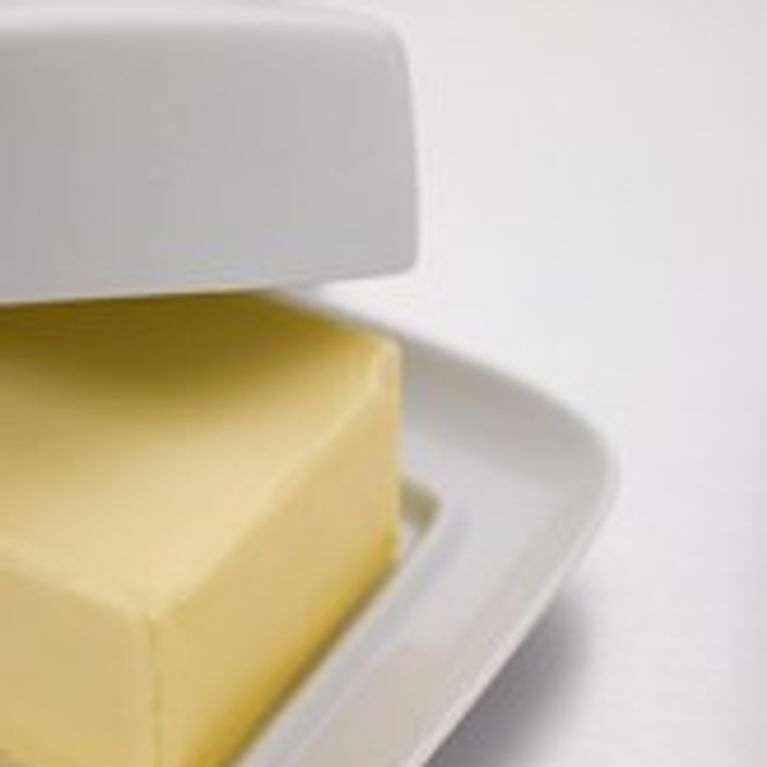 - Saturated fat: milk (especially whole milk), cheese, cream, butter, meat, frying fat, palm oil and coprah oil. - Monounsaturated fat: olive, rapeseed, peanut and industrially mixed oil, goose fat and nuts (almonds, pistachios, hazelnuts and walnuts). - Polyunsaturated Omega 3 fat: oily fish (tuna, mackerel, sardines, herring, etc), rapeseed, soya, linseed and walnut oil. - Polyunsaturated Omega 6 fat: eggs, butter, dairy produce, oleaginous fruit (ie fruit that is used to make vegetable oil), rapeseed, walnut, sunflower, grape seed, borage (starflower) and evening primrose oil. - Trans fatty acids: biscuits, cakes, industrially-produced bread containing fat, some types of margarine and spread, cream desserts, crisps and industrially-produced ice cream. Fat is vital to the body and should never be cut out of your diet, even if you want to lose weight. According to official guidelines, we should get 30-35% of our daily energy intake from fat (and 10-15% from protein and 50-55% from carbohydrate). However, for health reasons (espcecially for the health of your heart), you should vary your fat intake and stick to the right amounts of each type: 25% from saturated fat, 50% from monounsaturated fat and 25% from polyunsaturated fat. In practice, this means limiting your intake of fatty dairy produce, eggs and meat (especially prepared cold meat) and eating as little processed, refined fatty food like cakes, chips, biscuits and ready meals as possible. Up your intake of oily fish (try and eat it at least once a week) and rapeseed or walnut oil (use about 2 tbsp a day for cooking or seasoning). 10g of butter a day is plenty, and remember it's better to eat butter uncooked (eg spread on bread or melted over pasta or vegetables).